Adding a bit of Rastafarian vibe to Delhi, Raasta is a chilled out space for music lovers and revelers. As its' namesake, Raasta prides itself on hosting some great indie music acts from a variety of genres - dubstep, ska, reggae being the most popular. Since its opening in Haus Khas Village, Raasta has been a favourite of many people who's faces you'll recognise after a couple of visits. Try their bongtails - cocktails in bongs and some Caribbean-style chicken. Who wouldn’t love to sing? I am sure all of us do. But, we aren’t graced with a great voice to make a public appearance. There is a singer inside all of us and all we need to do is find out a platform to let the inner voice out. How about a karaoke night? It is the best way to sing in your own voice and the rest will be taken care of. 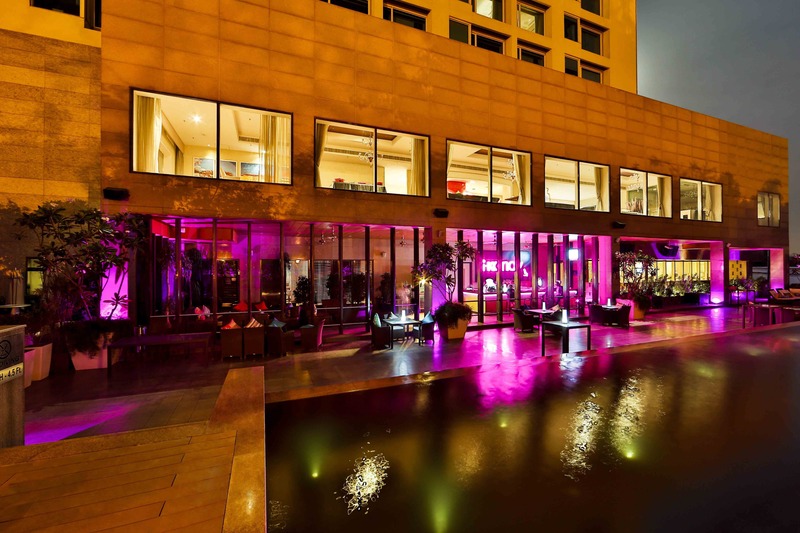 Wondering where to hunt for a karaoke night in Delhi? The Turquoise Cottage is a great hangout place in Saket. You will enjoy the decor as well as the food. It is popular for Asian cuisines and drinks. It serves continental as well as Italian food. If you love non-vegetarian food, you must try out chilly fish. The vegetarians can go for garlic bread and pasta which has a different taste altogether. The place is completely air-conditioned. There is no fight for parking as they have spacious parking lot. There is a separate smoking zone which will ensure that the other guests aren’t bothered. The live music will set your evenings. What else can one long for- good food, good ambiance, good music and good company? Turquoise Cottage is sure to give you all these. The karaoke nights at Turquoise Cottage is very popular. You will get to hear many voices that you have never heard of. There are no defined singing rules at Turquoise Cottage. All you need is the will to enjoy your voice power and hum some of your favorite songs. Monkey bar lives up to to its tag line, "a gastro pub that offers anything but usual!" Monkey bar is chilled, inviting and really fun.. This Bengaluru joint plays foot tapping beats and has an activity zone as well.The menu is mouth watering, a brain child of one of the finest chefs Manu Chandra. 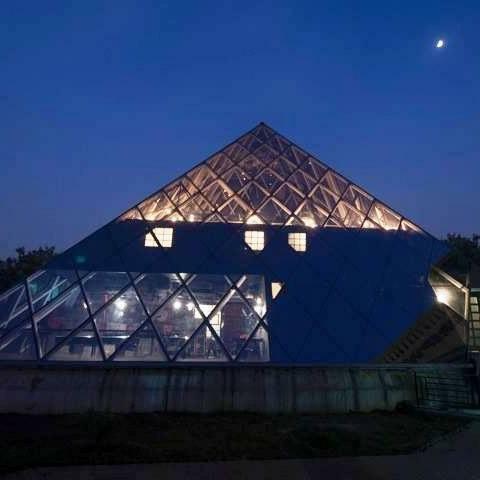 From Galouti Kebabs, keema Bao, tiger steak to Devilled Fish, there's something for everyone.A great hangout for a daytime lunch or an evening out with friends, monkey bar is housed in a pyramid shaped glass dome. It's already become a favourite watering hole among locals so make sure you give it a shot! This nightclub is an alternate world of sensory perceptions with state of the art audio systems and cutting edge visual projection technology. A true evolution of the clubbing experience, Shroom has changed India’s nightscape with edible cocktails, fluid dishes and form free sound. It has been awarded The Best Nightclub of 2012 by Times Food and Nightlife. 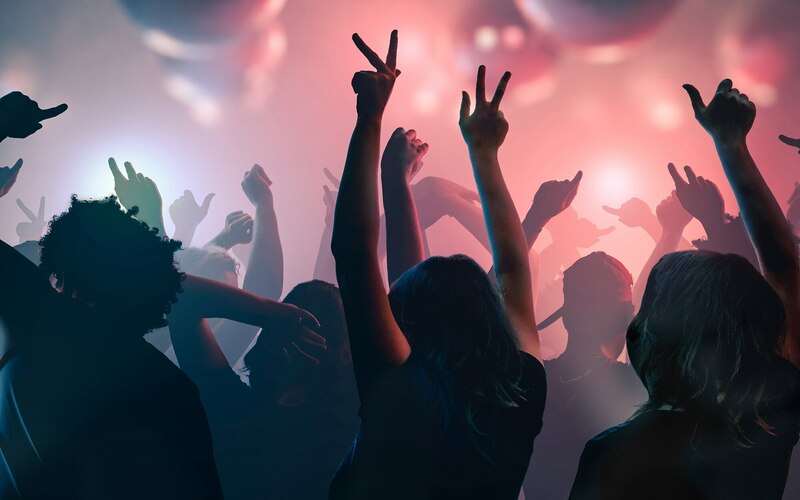 Performances by famous artists like Basement Jaxxx, Micheal Woods, Matthew Jhonson have been held here, in addition to performances by the best Indian and International Dj’s spinning the Best of House and Club Music. Thugs are a popular pub at the Hotel Broadway in Daryaganj, a tribute to Bollywood and the filmy villains offering inexpensive liquor. The ambience is quite uncanny with a gallery of caricatures of famous movie related villains like Gabbar Singh and Mogambo. This place offers great drinks and snacks and is loved equally by bachelors, executives and youngsters. The pub plays a tribute to the Bollywood baddies of yore. Dark and smoky, Thugs is a place for hard-core drinkers where you can have cheap alcohol where you can have cheap booze amidst posters of popular villains. Where: 1st Floor Asaf Ali Road, Daryaganj. Be it Delhi or Gurgaon, there are several restaurants to serve the travellers. If you are in a party mood and longing for some exclusive pool side party place, what better than I-Candy? It is popular for finger food and poolside parties. It operates from 3.30 am to 12 in the midnight. There is wheelchair accessibility. The seating arrangements are super fine and the ambiance is mind blowing. No longer one have to take the hassle of parking as valet parking services are available. Full bar service is also available where one can enjoy the music along with drinks. A pint of beer would cost you around Rs. 500/- and an evening without a beer is just not an evening at all. You can order for starters as they are just delicious. The mocktails are worth a try for the non-alcoholics. The only thing that you must carry is an identity proof as you might be asked. The entire place is air-conditioned and there is an exclusive smoking zone so that people have the choice to choose the space of their own. It is a delight to be at I-kandy on a sunday evening where you can get a feel of the weekend. Be it your friends or the love of your life, if you are planning for an event or planning to throw a party, I-Kandy can be chosen. You can intimate the staff members well in advance so that arrangements can be made. Do ask them for group discounts. Route 04 is a relaxed American diner with a bar and array of American dishes. It has a casual ambience great cocktails and long happy hours that apply to all alcohol, with popular retro music in the backdrop. The quality of food is very good, and it has had a good number of customers over the years, even with all the new places opening up around it. For music lovers there’s a jukebox and can choose their own music. Located in Khan Market and Connaught place, Route 04 has maintained its legacy of quality food and drinks at a reasonable cost. The staff that serve there, they are also very kind people and they make it a pleasant experience to have a meal or even just a drink there.